Understanding what causes runway excursion and subsequently figuring out means and methods to avoid such incidents or accidents is top priority for AAI when it comes to maintaining safety of their airports; and to this end the AAI has put in place a number of measures to prevent such incidents. Runway Excursion (RE) is an event when an aircraft veers off the runway or overruns from the runway. This can happen during landing or take-off. A number of factors can lead to this, for example, when an aircraft fails to get airborne or take-off is rejected midway after roll-off and overshoots the runway; when a landing aircraft fails to stop before the end of the runway and overshoots the runway; or when during landing, take-off, or rejected take-off, aircraft moves out of the runway sideways. These RE incidents may cause human casualties (passengers, crew or persons not in the aircraft), damage to aircraft, damage to airport property and equipment/ installations, damage to other aircrafts and closure of airport operations. Factors involved in RE may be pilot error, severe weather conditions (including crosswinds), technical faults of the aircraft, and runway surface condition. Any one or combination of these factors may cause RE. 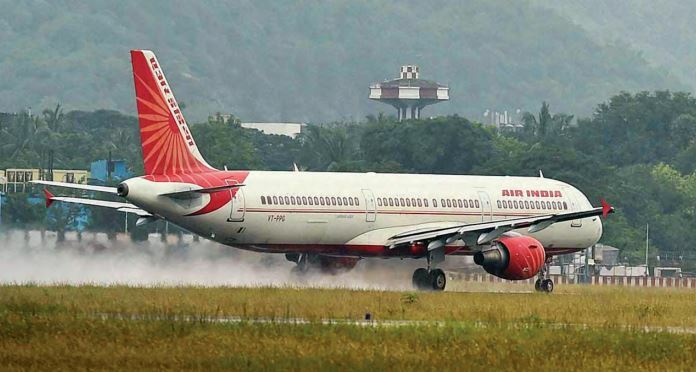 Runway surface condition is the responsibility of Airports Authority of India (AAI)/airport operator. The most important aspect of the runway pavement surface pertains to its friction characteristic, which is the surface texture. The effect that the surface material has on the tyre-to-ground coefficient of friction arises principally from differences in surface texture, which is a combination of macrotexture and microtexture. Macrotexture is texture between individual stone aggregate that helps improving drainage during tyre-pavement interface. Microtexture is texture of individual aggregate. Good microtexture provides a degree of sharpness necessary for the tyre to break through the residual water film that remains after the bulk water has run off. Mechanical interactions between aircraft and runways are complex and depend on the critical tyre-ground contact area. This small area (approximately 4-5 square metres for a large aircraft) is subject to forces that drive the rolling and braking characteristics of the aircraft, as well as directional control. Friction between the tyre and runway surface is the most important factor for acceleration or deceleration. The friction characteristics between the tyre and the runway depends on a number of factors, such as speed, surface texture, type of runway contamination, depth of contamination, tyre rubber compound, tyre structure, tyre tread pattern, tread surface temperature, tyre wear, tyre pressure, braking system efficiency, brake torque, wheel slip ratio and season of the year. Some of these factors have effects on each other, and their individual effect on the magnitude of the friction coefficient varies in significance. However, the parameter that determines most significantly the magnitude of achievable wet friction and the friction/speed relationship is runway surface micro/macro texture. The friction value on the runway surface gets decreased due to accumulation of contaminants such as snow, slush, ice, water, or rubber deposit. Loose contaminants reduce acceleration and deceleration performance but hard contaminants like rubber accumulation affects deceleration or braking performance of the aircraft. Serious reduction of friction coefficient in terms of viscous aquaplaning can result from contamination of the runway when wet by rubber deposits. Snow, slush, ice or water are easily removable as they are generally not stuck to the runway surface. Rubber deposits are difficult to remove as they penetrate deep into the pores of the runway surface. The aircraft tyre rubber gets burnt at the time of landing due to high temperature (200°C) generated by spinning effect caused by friction between the tyre and the runway surface. The burnt rubber first fills the voids of the runway surface and then continues to deposit over the surface. Over a period, the rubber deposits gradually reduce the surface roughness and make the runway surface slippery with low friction value. When the runway is covered with water or is wet, the water cannot be completely squeezed out from between the tyre and the runway and as a result, there is only partial contact with the runway by the tyre. As the speed rises, the time of contact is reduced and there is less time for the process to be completed; thus, friction coefficients on wet surfaces tend to fall as the speed is raised leading to the surface conditions becoming more slippery. Along with that, one of the most concerning factors in these conditions is the aquaplaning phenomenon whereby the tyres of the aeroplane are to a large extent separated from the runway surface by a thin fluid film. Under these conditions, the friction coefficient becomes almost negligible and wheel braking and wheel steering are virtually ineffective. Aquaplaning result in longer accelerate-stop and landing distances. Evidence from aeroplane overrun, run-off incidents, and accidents indicate that in many cases inadequate runway friction characteristics or aeroplane braking performances were the primary cause or at least a contributory factor. Aside from this safety-related aspect, the regularity and efficiency of aeroplane operations can become significantly impaired as a result of poor friction characteristics. It is essential that the surface of a paved runway be so constructed as to provide good friction characteristics when the runway is wet. To achieve this, the ideal average surface texture depth of a new surface should not be less than one millimetre. This normally requires some form of special surface treatment. It is not unusual in actual operations for spin-up to be delayed as a result of inadequate runway surface friction caused generally by excessive rubber deposits. In extreme cases, individual wheels may fail to spin up at all, thereby creating a potentially dangerous situation and possibly leading to tyre failure. To alleviate potential problems caused by inadequate runway surface friction, adequate runway surface friction should be ensured at all times and under all environmental conditions. It is essential to specify the minimum levels of friction characteristics for pavement design and maintenance. There is evidence that runways that have been constructed according to appropriate standards and that are adequately maintained provide optimum operational conditions and meet this objective. Accordingly, efforts should be concentrated on developing and implementing appropriate standards for runway design and maintenance. 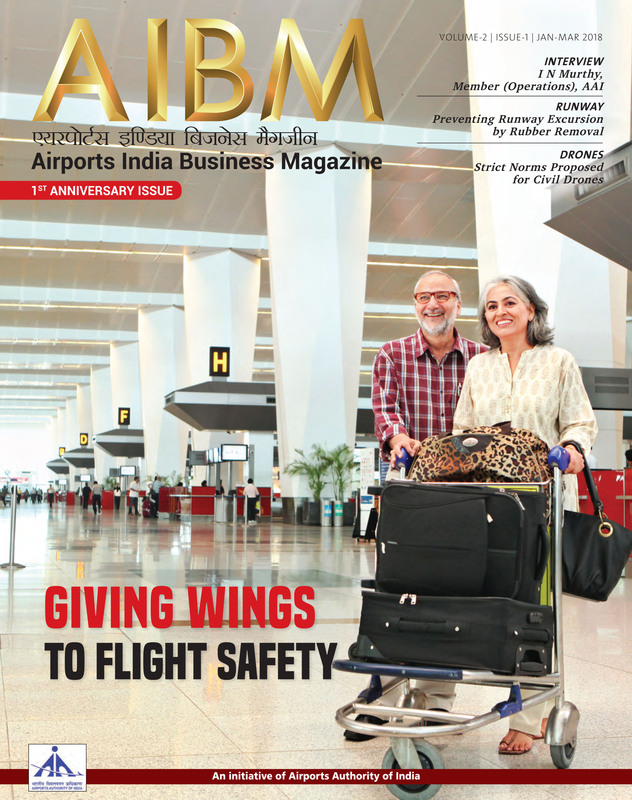 With the above measures and consistent vigilance, AAI continues its endeavour to keep its runways safe to avoid any accidents that may be caused due to poor runway surface friction. 4. Determine the friction of paved runways that becomes slippery under unusual conditions. 3. A minimum friction level below which the information that a runway may be slippery when wet should be made available and corrective action initiated. Friction measurements of existing surface conditions should be taken periodically, at intervals that will ensure identification of runways in need of maintenance or special surface treatment before the condition becomes serious in order to identify runways with low friction when wet. The time interval between measurements will depend on factors such as aeroplane type and frequency of usage, climatic conditions, pavement type, and pavement service and maintenance requirements. The airport was closed for about 30 hours as a result of the occurrence. Aeroflot reported in an internal memo becoming known on January 7, 2017 that the aircraft landed on runway 24 with low friction coefficients at maximum permissible cross wind component. The investigation is continuing. The fact that the braking action on the runway did not correspond with the classification “good” and that this information had not been transmitted to the crew, contributed to this situation. Contributing factors were – contamination of runway and degradation of runway surface (due to rubber coating and deterioration of surface, erroneous determination of runway surface condition due to inappropriate organisation of ground operations to monitor runway conditions in case of snow and maintenance of runways. The smooth landing on a wet runway led to viscous hydroplaning, which resulted in poor braking action and reduced aircraft deceleration, contributing to the runway overrun. Excessive tread wear and the wet runway caused the aircraft to hydroplane, which led to a loss of directional control and braking ability, resulting in the aircraft overrunning the runway. The brakes were not released when the skid occurred, which reduced the effectiveness of the anti-skid system. Fragments of reverted rubber were collected from the runway touchdown to stop position.